The THHN City To Sea Event an ‘Epic’ End to a Record Breaking Summer Season. On September 5th, we at THHN rounded off and celebrated our record breaking summer with a very big, ambitious and exciting event. Our first ever City to Sea event and not forgetting the Festival of Fun at the finish line on Babbacombe Downs. It was such a significant and fantastic event that we felt it deserved it’s very own special edition newsletter, just ahead of our usual monthly one later this week. On Saturday 5th September over 200 people made their way to Exeter to run or walk back to Babbacombe via a challenging 23 or 53 mile road and coastal route. Twenty-nine individuals and two relay teams completed the 53 mile ultra marathon with Jon Dolman from Torquay winning the men’s race with a time of 9 hours and 31 minutes and Debbie Burman from Paignton leading the women home at 11 hours and 49 minutes. The winning relay team were Team Lofthouse from Torquay. Over 150 runners, walkers and relay teams completed the 23 mile route with Peter Belcher from Exeter winning at 3 hours and 19 minutes and Kate Hext, also from Exeter winning for the ladies at 3 hours and 56 minutes. Charley’s Angels from Paignton won the relay challenge. The race finished up at a Festival of Fun on Babbacombe Downs where families were treated to activities and games including live music, princesses, face painting an assault course and a climbing wall. Hungry runners, walkers and race volunteers were treated to free fish and chips from Hanbury’s Famous Fish and Chips, Babbacombe. We are very delighted to announce that so far the event has raised over £14,500 with more sponsorship still coming in. I enjoyed the camaraderie with the other participants and when I crossed the finish line I was amazed with the rousing applause I received from spectators and it made me feel like a celebrity. The whole event seem to be a huge success and on a personal note the full weekend was a giant step forward in my recovery and my confidence and self esteem has grown to new levels so I would like to thank everybody involved in the City to Sea and wish THHN every success with future fundraising events and keep up the good work. Nico Roa deserves a huge well done all of his own. Nico was the only child to take part in the City to Sea. He walked with his parents, Catherine and Julio and finished at around nine and a half hours. One of the threads on the City to Sea participants Facebook page was all about funny stories of the day. We thought we’d share a few here. Our funniest moment was inadvertently running through a wedding during one of our “lost” moments. Mine included jumping about three feet in the air when a train driver blew his horn right next to me, and suffering a brief moment of indignation when someone referred to me as a “jogger” about 40 miles in (only to start laughing when I realised it could be a lot worse – they could have referred to me as a “walker” by that point!). Some amazing photos were taken of the event and can be seen and purchased here. A percentage of all sales comes to the Charity. Thank-you to everyone who has given us feedback about the event. It was our first ever event of this kind and, as we intend to make it an annual event, we really do welcome any feedback that can help us make it better next year. Please email cts53@thhn.co.uk with any thoughts. We would like to say a very big THANK YOU to all the volunteers that gave up their Saturday to help us put on the City to Sea. Without them we never could have done it, the feedback we have had about the marshals, check points and all our volunteers has been great to hear. We would also like to thank everyone who took part in whatever way on the day and a huge thank-you to those who raised extra funds for us. We will give you a total of the money raised in our regular newsletter as soon as we have it finalised so do watch this space. We would also like to say a very Big Thank you to the following companies who either sponsored, donated goods or offered other services to THHN for the City to Sea. 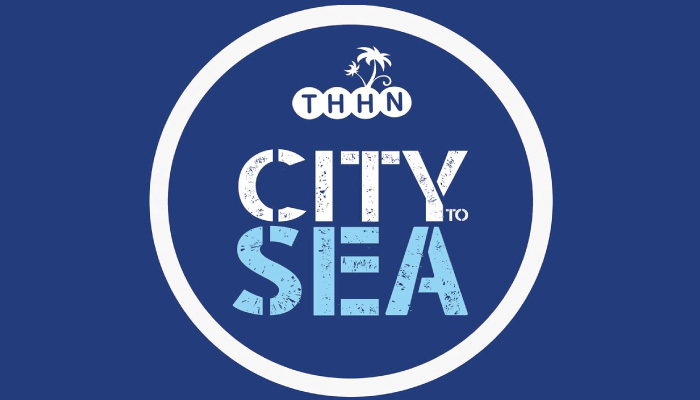 As founder and managing director of THHN I would just like to say a huge and heartfelt thank you to each and every one of you, who took part in our inaugural City to Sea event this Saturday. It was a landmark day for our charity and you all helped to make it the huge success that it was, so please accept my sincere thanks. Life is short, life is precious, live, love and enjoy. City to Sea 53 and Marathon 2016! We are pleased to announce the City to Sea will be back on Saturday 3rd September 2016. This time it will be even more challenging with an extra 3 miles on the 23 mile, making it a full marathon. The ultra will also return bigger and better.